This is the ultra-classic and original 100% virgin lamb’s wool tallit katan. Special advance methods of manufacturing and weaving the wool make this tallit katan much lighter than its tradition counterpart. The front and back side is decorated with the traditional black stripes across the full width. 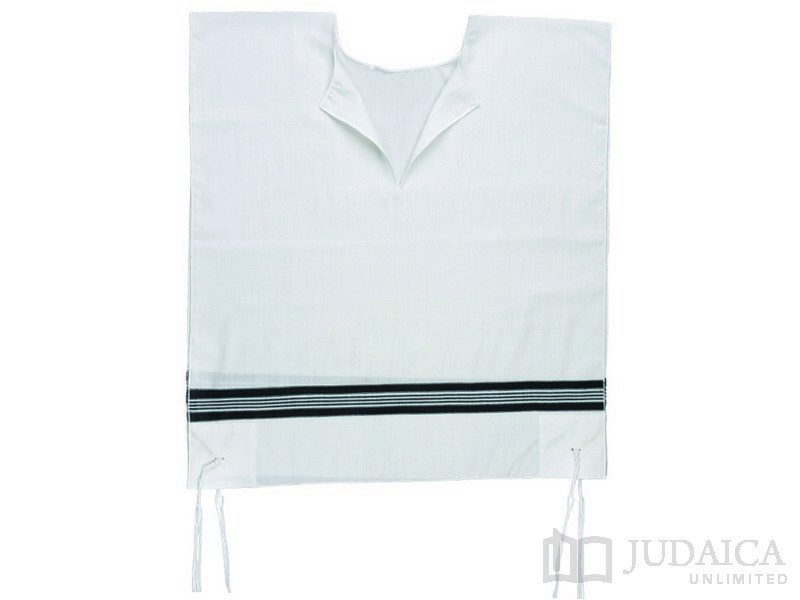 The tallit katan has the option of rounded or v-neck styles along with the choice of one or two holes for the tzitzit strings. Includes special thin Avodas yad/handmade tzitzit strings, menupetz lishmah, tied and knotted, with the option of upgrades available.